I see lines -- will they stitch out? 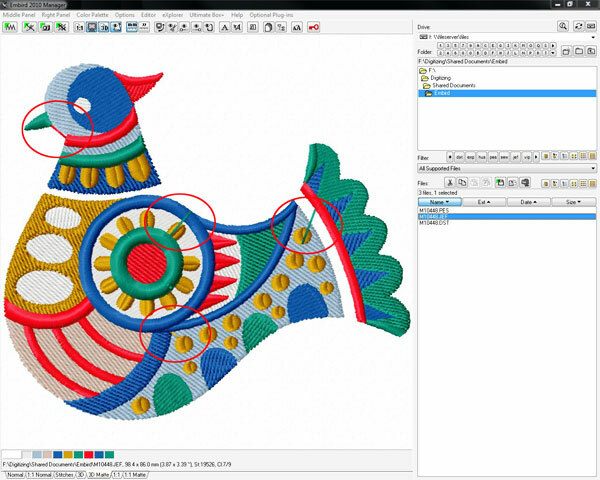 On occasion, you may see lines that appear in certain design files when viewed in Embird embroidery software. Embird refers to these lines as "floating stitches." These lines represent the movement of the needle between the separate color stops of a design. These lines WILL NOT sew out when you embroider the design on your embroidery machine. To illustrate how the "floating stitches" may appear in your Embird software program, view the circled stitches in the image below. And for more information on "floating stitches," please refer to the Help section in the Embird software program. 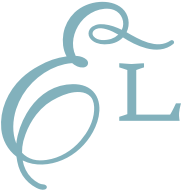 All of our designs have been tested and reviewed to ensure top quality. As always, we recommend doing a test stitchout before stitching onto your final item, as results may vary depending on fabric and stabilizer combination.